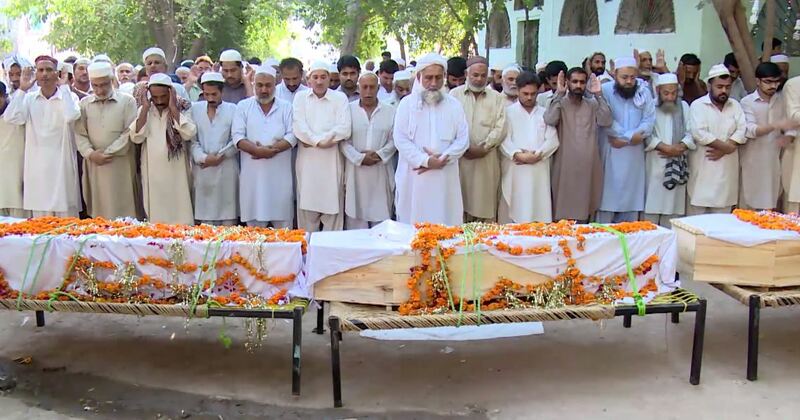 PESHAWAR (92 News) – The four sisters shot dead yesterday were laid to rest after their funeral prayers were offered on Sunday. As per reports, the sisters’ relatives earlier staged a sit-in placing the bodies on the GT road and blocking it for traffic. Earlier yesterday, the sisters were shot dead over a property dispute in Hashatnagar area. The police shifted the bodies to morgue for autopsy.